Cheryl J. Kagan Public Relations has been able to effortlessly blend it's multi-faceted expertise in entertainment/corporate/sports and philanthropic endeavors, creating a positive, productive public image for its clients. We look forward to providing you with outstanding service, direct communication and a comprehensive media campaign to achieve your short-range and long-term goals. Cheryl J. Kagan Public Relations works closely with its clients on a day-to-day basis, arranging TV/print/radio/internet interviews, international, national, multi-city and satellite tours. The company creates background material, press kits, artwork, communication tools and provides strategic advice to meet our clients' expectations. We believe in productive, successful relationships between our clients and the media. CJK PR continues to maintain the "gold standard" when it comes to courtesy, professionalism and expertise in communications. When you work with our company, you have the opportunity to deal directly with our press agents and not get lost in a large corporation. Let's achieve your dreams together. with a public relations company that is as passionate about your vision as you are. 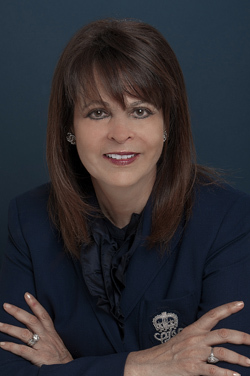 Cheryl J. Kagan Public Relations was established in 1998 after Ms. Kagan spent 17 years at the illustrious Rogers and Cowan PR in Los Angeles as Executive Vice President, Entertainment. During her tenure at Rogers and Cowen she had opportunities to work with the likes of Hugh Grant, Michael Chiklis, William Shatner, Cybill Shepherd, Kenny Rogers, Moonlighting and Miami Vice tv series, Mary Kate and Ashley Olsen, Kirk Douglas, White House charity dinners and many more. Her diversified background includes working in Client Relations at ABC-TV News and Sports and Manager of Casting and Talent at NBC-TV. Her eclectic career has afforded her clients a wide range of services that go beyond a typical publicity campaign. Ms. Kagan had the great opportunity to work on "Saturday Night Live" and "The Tonight Show," while working in the talent department NBC-TV in New York. At ABC-TV Sports, she coordinated events for: The Winter Olympics, Monday Night Football, Boxing, Indy 500, The World Series, Kentucky Derby, etc. Ms. Kagan has served on the Board of Women in Film and The National Academy of Television Arts and Sciences. She is a member of the Hollywood Radio and TV Society, the Academy of Television Arts and Sciences and the Paley Center for Media. She has been interviewed on: "The Oprah Winfrey Show," "Good Morning America," "The Today Show," and local programs in Los Angeles and New York. Ms. Kagan's eclectic career has afforded her clients a wide range of services and relationships that go beyond a typical publicity campaign.